Access to the festival on Thursday 11th, Friday 12th & Saturday 13th July. Access to the festival on Friday 12 July only. Access to the festival on Saturday 13 July only. Access to the festival on Thursday 11 July only. Lisboa Camping is situated five minutes from the Passeio Marítimo de Algés and is a four-star camping ground (the highest in Portugal). The campsite is equipped with a restaurant, swimming pool, tennis court and amazing atmosphere in the heart of the city. Spanning over 380.000 m2, this campsite can host up to 1800 guests in bungalows and pitches. The Monsanto Bungalow sleeps up to five people and is fully equipped with bathroom (shower), kitchen and dishware. Bed and bath linen is included. Other amenities include a balcony, heating, a TV with cable-channels, a telephone, a fridge and a microwave. 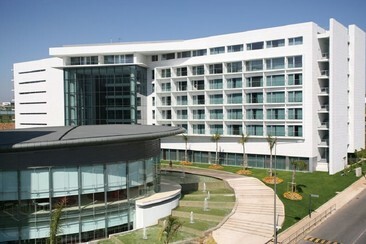 The 4* Lagoas Park Hotel is located in Oeiras, a 30-minute drive from Lisbon airport. Situated inside of a greatly acknowledged business centre in Portugal, Lagoas Park, the hotel beholds a discreet and modern decoration in perfect harmony with natural light and green spaces, where recreation and leisure are a priority. The 182 rooms are decorated in warm colours and feature marble bathrooms with signature amenities, works desks and flat-screen TVs. Guest have access to the Lagoas Health Club, located across the street, which includes a gym with cardio machines, a heated indoor pool, jacuzzi, sauna and a Turkish Hamman as well as a spa with a range of therapies and massages on offer. The hotel's restaurant features modern lines and minimalist décor and the menu boasts a diverse range of cuisines and a wide selection of wines. The lobby bar's comfortable and peaceful atmosphere is the ideal place to take a break and relax whilst enjoying a drink or a light meal. Located in Lisbon's exclusive Alvalade district near many theatres and restaurants, Hotel Roma offers spacious rooms with free Wi-Fi. It features a solarium and an on-site restaurant serving international food. All of Hotel Roma's rooms feature a TV, work desk and a private bathroom. 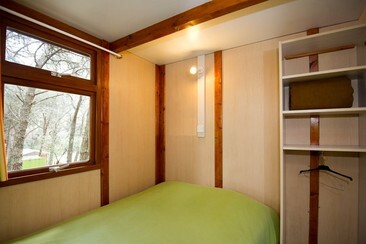 Some room types also have a private balcony and a separate seating area. The hotel is just 5 minutes’ walking from Roma Metro Station and Lisbon Portela Airport can be reached in 10 minutes by car. 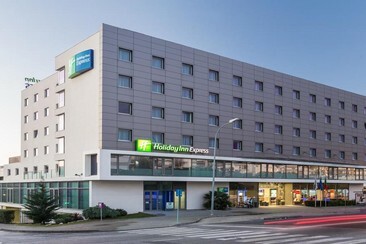 Holiday Inn Express Lisbon - Alfragide hotel is 15 minutes’ drive from Lisbon city centre, with a bus stop right outside the door. It features a lounge bar, 2 bright meeting rooms and a 24-hour front desk. Business guests can host a meeting or conference for up to 60 people in the hotel’s 3 elegant event spaces. 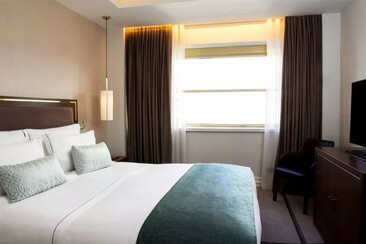 Generous, wood-accented guest rooms feature ample work space and cosy beds. After a busy day exploring Lisbon, wind down with a glass of vinho verde in the fashionable 24-hour lobby bar, or drop by later for a nightcap. Providing ultra-modern rooms with totally white designer décor, the Hotel Gat Rossio is located right in the centre of Lisbon, on a quiet street behind Restauradores Square and metro stop. The hotel features an outdoor terrace and free Wi-Fi access, as well as air-conditioned rooms with flat-screen televisions. Guests at Hotel Gat Rossio can enjoy a hot buffet breakfast in the hotel, or benefit from its central location and discover some of the nearby eateries that serve traditional Portuguese dishes. The iconic St George’s Castle is within a 10-minute walk, and Rossio Train Station is 50 meters from the Gat Rossio hotel. The Aerobus Shuttle from Portela Airport stops just a few metres from the property’s doorstep. It is only 4 minutes’ walk to the Av. da Liberdade. 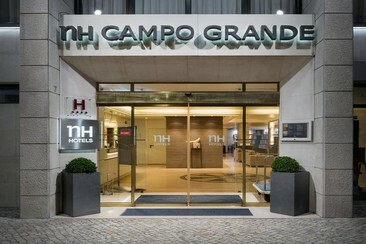 Located near Campo Grande Park, NH Lisboa Campo Grande is 5 minutes’ drive from Lisbon Airport. Marquês de Pombal Square is less than 10 minutes’ drive away. 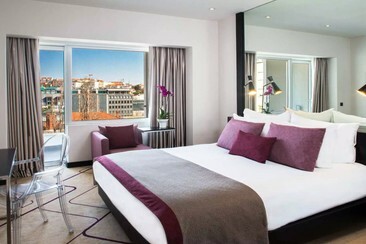 All rooms at NH Lisboa Campo Grande are fitted with large windows and offer a pillow menu. 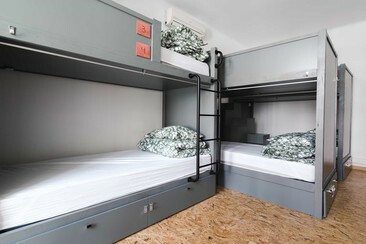 Each one has a well-stocked minibar, cable TV, free Wi-Fi and a comfortable armchair in the seating area. There is a gym to exercise and sauna to relax. 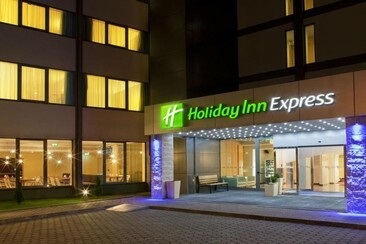 The Holiday Inn Express Lisbon Airport is just a 5-minute drive from Lisbon International Airport. Facilities include a 24-hour reception and an airport shuttle service. Continental buffet breakfast is served daily and includes Portuguese pastries. An express menu is available daily from 7pm-10pm in the hotel's Great Hall. The hotel has a laundry and a dry-cleaning service. Free WiFi is available in all areas. Private parking is possible on site and is free of charge. 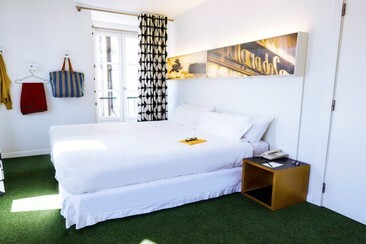 This 3 star hotel is located in the historical centre of Lisbon. 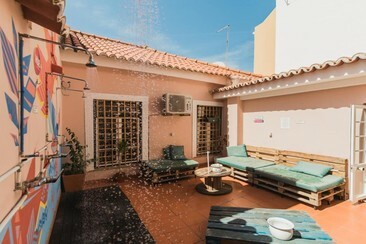 Its privileged location gives guests easy access to many cultural sites, such as the Castle, Chiado and Bairro Alto. Hosting the Borratém Well, the building firmly claims the charm of a historical "pombalino" style. 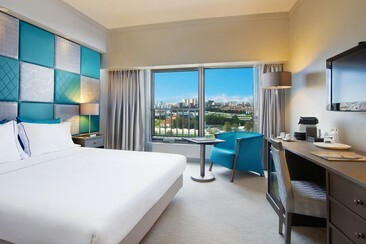 The 58 guest rooms are decorated in deep blue with satellite TV and a mini bar in each. The hotel has a 24-hour front desk, offering luggage storage and daily newspapers. For guests arriving by car, there is public parking available nearby at a charge. The nearest metro station is Rossio, just 300 metres away. The Chiado and San Jorge’s Castle are 15 minutes’ walk away. 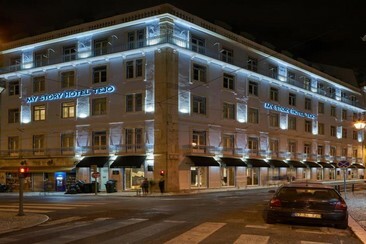 Tivoli Oriente Lisboa Hotel is a modern 4-star hotel in Lisbon where sophisticated leisure and ultimate convenience infuses adventure in Lisbon. It is just five minutes from the airport and near the highway for easy access to Sintra and Cascais. Whether checking in for work or fun, Tivoli Oriente's cosmopolitan offerings promise pampered and easeful awakenings. You can take the elevator up to Sky Bar, where enticing cocktails and sushi meet 360-degree city and river views; loosen up in a heated indoor swimming pool, Jacuzzi or freshly refurbished fitness centre or start days with a buffet breakfast on the terrace and enjoy satiating dinners at Portuguese steakhouse. 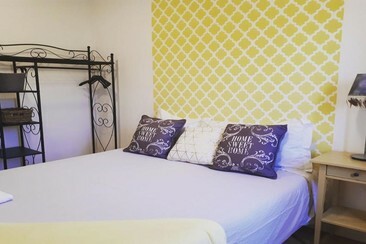 In addition, free Wi-Fi is provided throughout the property and private parking is available on site. Get to the festival in safety and comfort and on time with guaranteed seats. A return coach from Aveiro to the festival site and return. Please note that routes might be canceled in case of not enough seats sold. Get to the festival in safety and comfort and on time with guaranteed seats. A return coach from Santa Maria da Feira to the festival site and return. Please note that routes might be canceled in case of not enough seats sold. Get to the festival in safety and comfort and on time with guaranteed seats. A return coach from Albufeira to the festival site and return. Please note that routes might be canceled in case of not enough seats sold. Get to the festival in safety and comfort and on time with guaranteed seats. A return coach from Faro to the festival site and return. Please note that routes might be canceled in case of not enough seats sold. Get to the festival in safety and comfort and on time with guaranteed seats. A return coach from Guimarães to the festival site and return. Please note that routes might be canceled in case of not enough seats sold. Protect your hearing while enjoying the best quality music! Access to up to 26 museums or monuments, free transport and more! See highlights like Torre de Belém, Mosteiro dos Jerónimos, and more. Get free access to the elevator of Santa Justa, which first opened in 1902 and takes you to the best panoramic view of the city. Worried about getting around? No need. 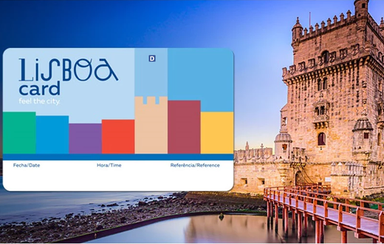 The Lisboa Card also offers free transport, including the world-famous 28 Tram. Step back in time at this lovingly restored fairy tale castle This picture-perfect mountain retreat was a monastery until transformed into a private palace by King Ferdinand II. The surrounding Park of Pena is just as big of a treat, full of exotic plant life and other secret treasures. Discover for yourself the 'Crown of the Sintra region'. Make sure you take the time to drink in the stunning views over the Sintra Region, western coastline, and the city of Lisbon below. Enjoy one of the most magical places in Portugal! 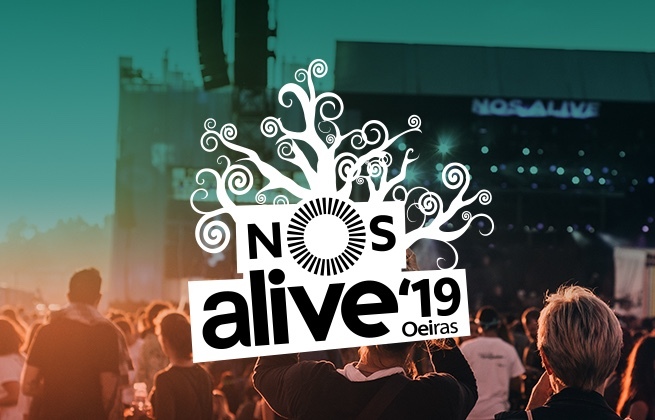 NOS Alive is a Portuguese rock, indie and alternative music festival, held each summer on the beautiful Oeiras coast, close to the capital Lisbon. Now one of Europe's most respected music festivals, its lineup has featured Arctic Monkeys, Pearl Jam and Queens of the Stone Age in recent years. Its glorious setting means festival-goers spend their days lapping up the sun or taking a dip in the nearby Tagus river, before the main lineup kick starts a night of full-throttle partying that doesn't stop till the early morning. And by combining great lineups with a summer getaway feel, NOS Alive is the perfect escape for the rock-sensible music fan. The festival takes place in Oeiras, a municipality and subregion in the Portuguese capital of Lisbon.